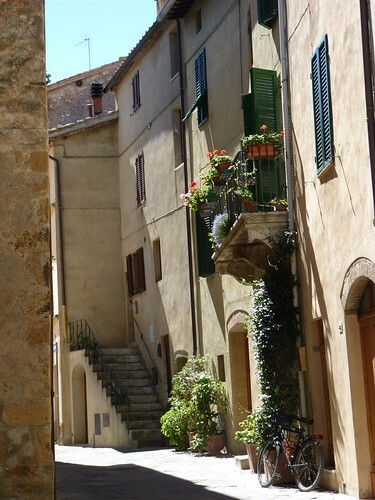 Pienza is a small town still retaining its ancient structure of medieval village. It is located in Tuscany, in the province of Siena, in the Val d’Orcia, on a hilltop overlooking Mount Amiata and the Crete Senesi. UNESCO has recognized Pienza and the Val d’Orcia as World Heritage Site for the beauty of the natural landscape and the great historical and artistic value in this area. The city is known as the city of Pope Pius II, because this Pope was born here in 1405. Pius II wanted this town to be built and to be worthy of the nearby Siena; so he called famous architects and valuable artists, and between 1459 and 1462he ordered to built this small town according to the canons of the Italian Renaissance. To discover and appreciate Pienza it is important to walk the old streets where Renaissance and Middle Ages blend in the architectural structure and in the artistic flourishes giving this city its unique character. The city historical centre is truly a gem. This is built around the Piazza Pio XII, which still represents the centre of city life. 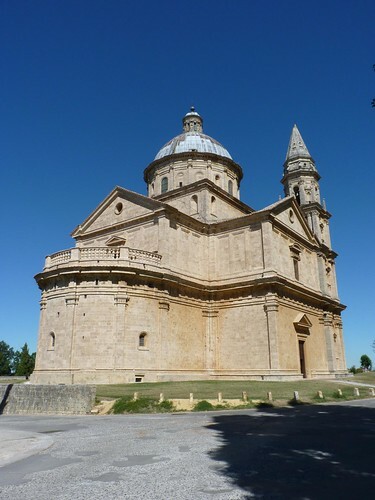 Among the monuments to visit there are: the Church of San Francesco built in the thirteenth century, the Museum of Palazzo Piccolomini, the convent of S. Anna In Camprena, the Romanesque church of Corsignano built in the XI-XII century and the Diocesan Museum. Behind the Cathedral it is possible to follow a short path that offers the opportunity to admire a panorama embracing Cetona and Amiata Mountains and the Val d’Orcia. 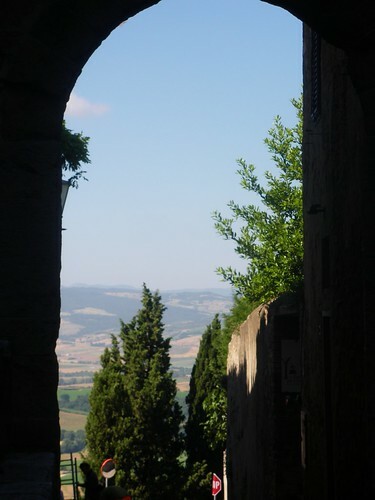 A hamlet near Pienza, the village of Monticchiello, is also very interesting. It still preserves the ancient medieval walls and the door offering a view of great beauty on the valley.